A pair of Illinois Institute of Technology researchers developing technology to detect early stage tumors have been named the winners of the university’s Nayar Prize, which includes a $500,000 award. The Agent-Dependent Early Photon Tomography (ADEPT) Cancer Imager was developed by Kenneth Tichauer, associate professor of biomedical engineering, and Jovan Brankov, director of the university’s Advanced X-ray Imaging Lab and associate professor of electrical and computer/biomedical engineering. Last week, IIT announced the duo won the final round of the inaugural Nayar Prize, which was established in 2015 to encourage university faculty, staff and students to develop breakthrough innovations that will produce meaningful results with a societal impact. Including previous rounds of funding, the ADEPT team has received $800,000 in funding through the Nayar Prize competition. Tichauer and Brankov teamed up in 2015 to develop the technology with the intent of finding smaller tumors in the lymph nodes of breast cancer patients. Currently, the process to detect whether cancer has spread to a patient’s lymph nodes involves slicing a sample of the lymph node, dyeing it and then making a diagnosis, which can take up to 24 hours. The ADEPT Cancer Imager dyes the entire lymph node, rather than a small sample, and uses an advanced laser imaging system that allows pathologists to find tumors that are 10 times smaller than those found using conventional methods, according to researchers. Researchers estimate that more than 40,000 women will be properly diagnosed annually using the technology, allowing them to begin “critical, lifesaving chemotherapy” when it is more effective, Tichauer said. While research has been focused on breast cancer, Brankov said the technology can have widespread applications, especially in drug development. 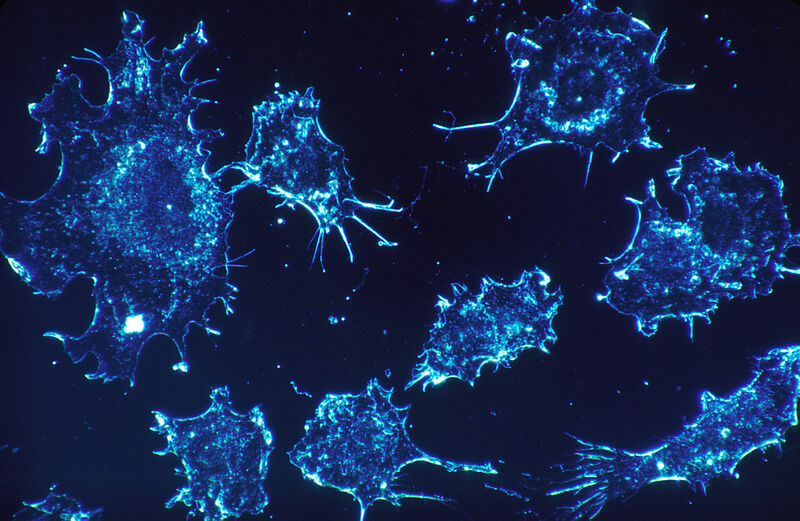 Cancers are composed of different types of cells, yet current drugs only target one type of cancer cell, according to Brankov. Using the ADEPT system researchers can determine the composition of the cancer, including a breakdown of the different types of cells within the cancer, and then use that information for targeted drug treatment, he said. Researchers are planning a clinical trial of the ADEPT system in breast cancer through a partnership with Sanford Research in Sioux Falls, South Dakota, and the University of Chicago Department of Pathology.